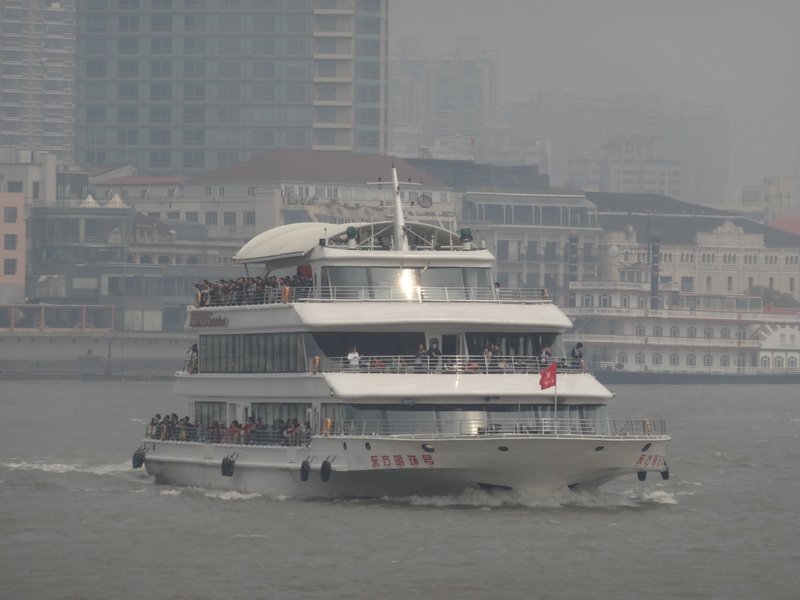 After almost two years in Beijing, I’ve gotten somewhat nonchalant about the “bad air days.” I don’t always check the AQI before I head out of the house, and I often don’t check it when I travel to a different city either. Well, my first trip to Shanghai was educational to say the least. There I was snapping photos at the skyline in the bay, and then looked back at my camera and thought, “ew.” The air was most assuredly “hazardous” on the AQI scale that morning. 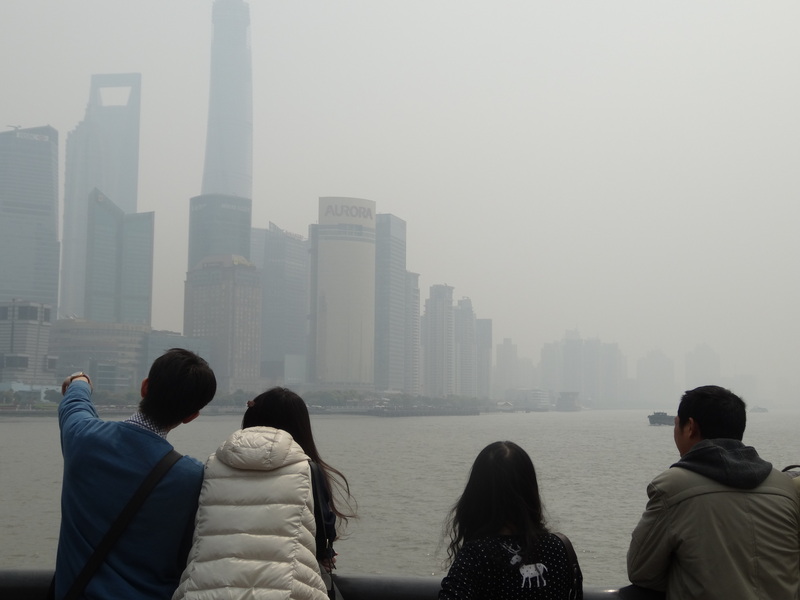 My morning in Shanghai was… hardly visible. We took a ferry from one side of the bay to the other! 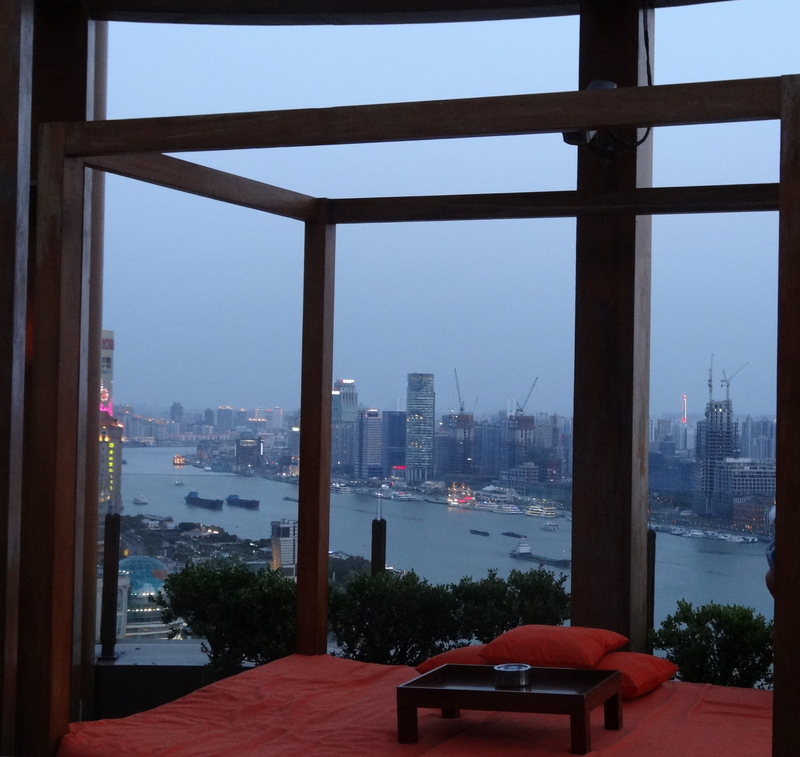 The wind swept in that afternoon, and as I looked at the same skyline at night, the views were drastically different. 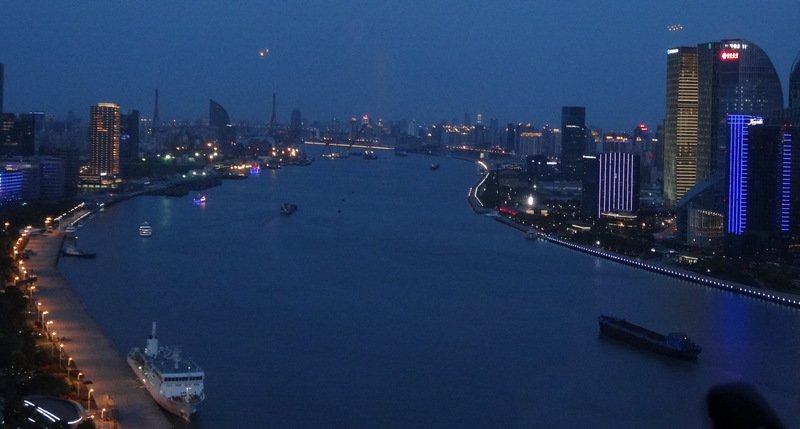 We went to the Hyatt on the Bund which has a bar on the 32nd floor. After paying the cover charge (which includes a cocktail) we could wander around and find a table, surrounded on all sides by gorgeous views. If I lived in Shanghai, this would be the place I’d have a birthday party. The bar even had an outside hot tub area! At night we could really see the gorgeous architecture of all the buildings! So, what’s the verdict on my trip to Shanghai? Con: So many people walking around in the shopping areas! 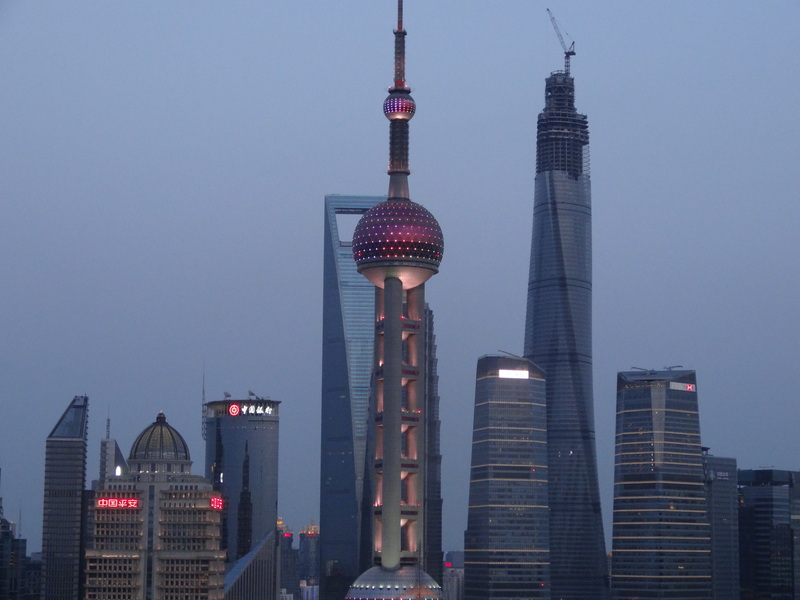 I think living in Shanghai would be fun, and it seems to cater more to international visitors than Beijing. I’m glad I made it there during my stay here.